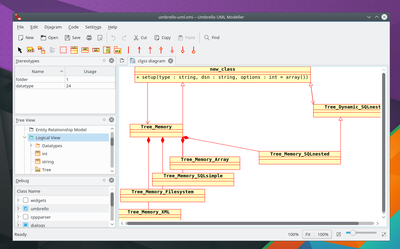 Umbrello UML Modeller is a Unified Modelling Language (UML) diagram program based on KDE Technology. UML allows you to create diagrams of software and other systems in a standard format to document or design the structure of your programs. You may take a look at the screenshots to see umbrello in action. 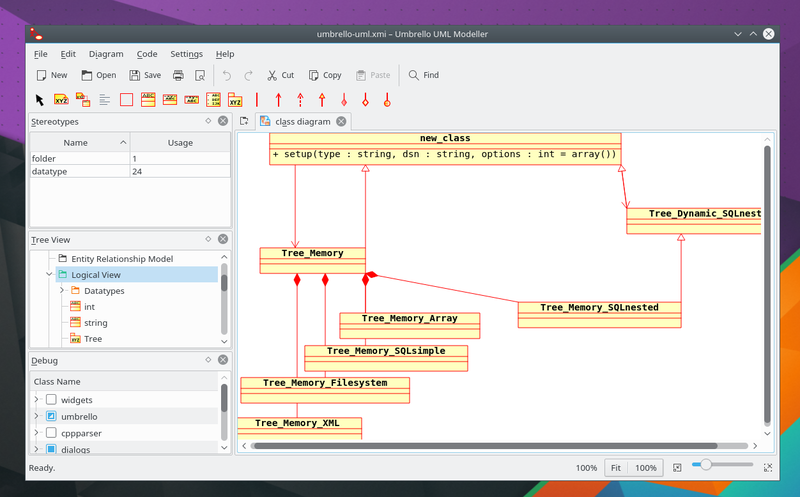 Our handbook gives a good introduction to Umbrello and UML modelling. Umbrello comes with KDE SC, included with every Linux distribution and available through your package manager and as installer for Windows and Mac OS X. See Installation to install Umbrello. For user support join the Umbrello mailing list. We are an open source project who welcomes all developers and contributors. Join the Umbrello development mailing list and say hi.